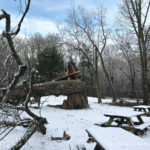 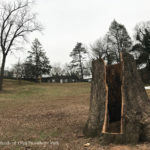 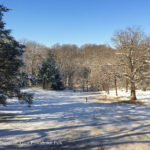 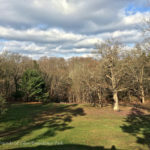 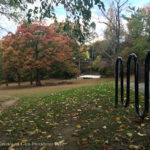 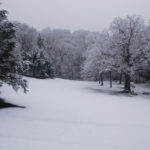 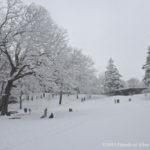 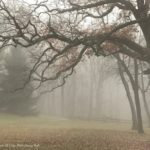 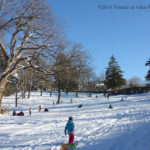 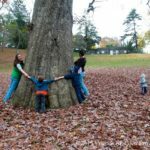 As we prepare for our annual fall tree planting this weekend, we are thinking of the loss this spring of the iconic White Oak on the sledding hill in Glen Providence Park. 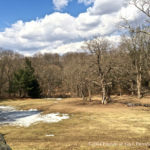 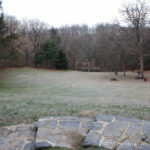 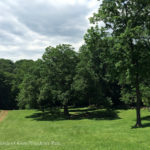 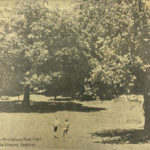 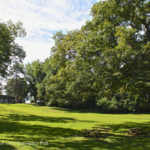 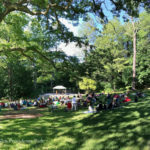 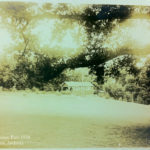 The June 23, 1937 Chester Times announced the first concert in Glen Providence, stating the conductor “has chosen for the orchestra stand a position under a large oak tree where the surroundings in part form a natural amphitheatre.” That majestic White Oak provided shade and beauty for generations of concert audiences and park visitors – and centuries of food and shelter for wildlife! 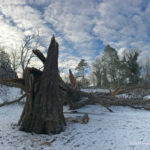 This year on March 2, that majestic tree fell in a Nor’easter. 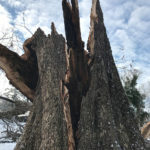 Based on its diameter, we believe the oak was over 200 years old! 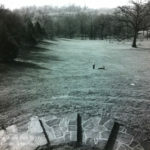 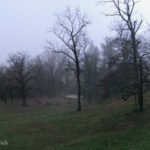 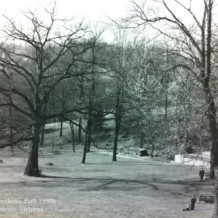 We are grateful that Delaware County Parks & Recreation preserved its standing, hollow portion as a natural playhouse. 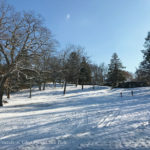 As a part of succession planning for the loss of it and future trees, volunteers planted trees on the sledding hill for Earth Day in April – and we continue the annual native tree plantings that we started in 2012. 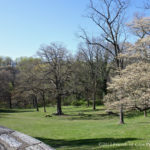 We hope some of the saplings that we plant grow to be canopy trees that provide shade and beauty for future generations! 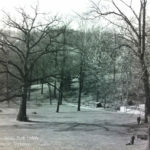 A chronological photo tribute… click on any photo for a closer look, or scroll through them all. 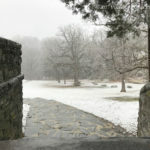 We’ll add more photos as we come across them!